4 Elephant bulls at Nsuna rd. 2 Elephant bulls at Makoti rd. 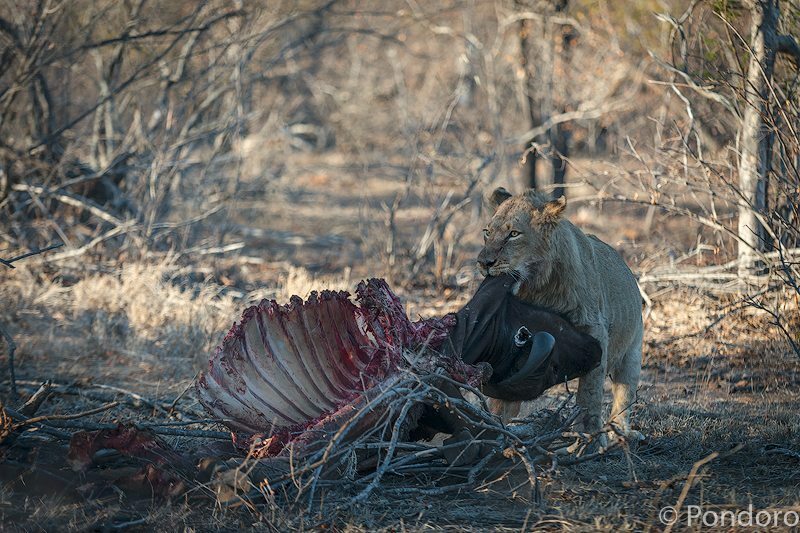 A pride of 8 lions (River pride) feeding on a buffalo kill. A herd of 15 elephants at Xindzele rd. A lion pride at 4/5 cutline. A herd of 20 elephants at Ngala dam. 4 Male lions feeding on a buffalo at Mamba rd. A herd of 200 buffaloes drinking at Ngala dam. 9 Lions close to Rhino Rock (Kudyela’s pride). 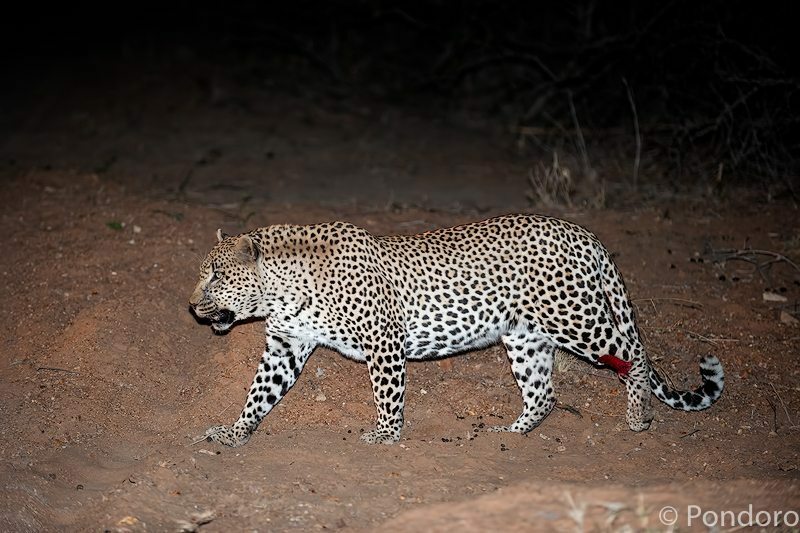 1 Male leopard (Chavaluthu) at warthog kill at Impala dam. 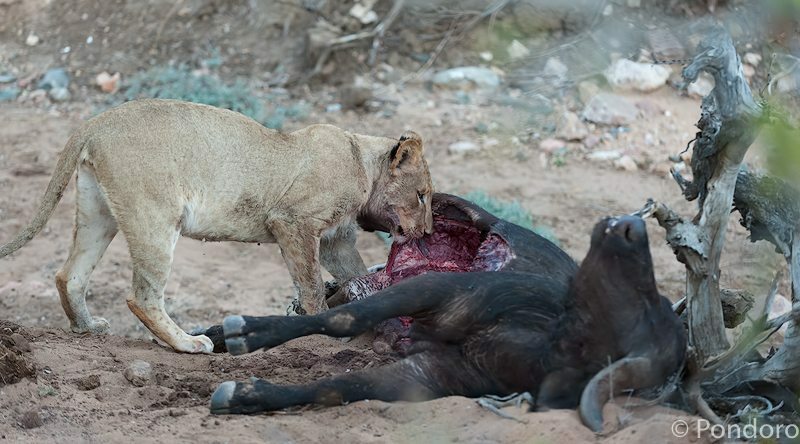 A lion pride feeding on a buffalo kill at Misi loop. 1 Female leopard (Faka Nchovela ) at Lala rd. 9 Lions at Misi Loop. 2 Elephant bulls south of Bateleur camp. 4 Male lions south of Korhaan rd. A herd of 20 elephants at Mbonga rd. 1 Male leopard (Chavaluthu) at Rian’s rd. 9 Lions at Mophu Meander. A herd of 15 elephants at Winston’s rd. A herd of 15 elephants drinking at Gunter’s reservoir. A herd of 10 elephants at Van Wyk. A lion pride at Rhulani’s rd. 1 Male leopard (Chavaluthu) at Deadend dam. A herd of 100 buffaloes at Xiingwana rd. A herd of 50 buffaloes at Kudu weg. 2 Hyenas and 2 cubs at Siyabona main. A herd of 15 elephants at Kahle Stelle. A herd of 100 buffaloes at Lodge’s loop. 4 Hyenas and 4 cubs at Siyabona main.